Five years after their self-titled release on Transubstans Records, SKÅNSKA MORD return with yet another hard-hitting release, promptly named "Blues From The Tombs". The unique sound that makes SKÅNSKA MORD stand out in today's scene is present on every track on the new album. 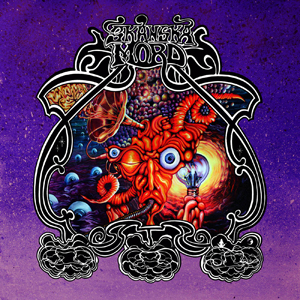 While other acts may focus entirely on creating either heavy blues soundscapes, or paying their tribute to the progressive rock bands of the 70's, SKÅNSKA MORD is not afraid of mixing the two in their own manner. "Blues From The Tombs" is delivering heavy grooves as per the band's high standard, while enthusing the listener with tempo changes, incredible solos, tight rhythm sections together with the strong voice of Janne Bengtsson. From the doomy elements of "The Coming Of The Second Wave" to the dynamic psychedelia of "Sun", there is only one thing to conclude; if you enjoy listening to music with the same passion as these guys are playing it, then this album is for you. This item is released 2019-05-17. Place your order today and we ship the item as soon as it reaches us.